I love that you wrote this book and are dedicated to teaching people about their abilities. I’m just learning about your book but would love to read it. Thank you again, light and love. Thanks for your note, Amber. I know Elaine will be glad to see it. She is an amazing teacher for empaths. Thank you Amber! I appreciate the feedback, and I hope you enjoy my book. Elaine, I’m following your blog with interest and draw strength from what you write. It is motivating so keep writing the good stuff! Thanks for commenting and entering, Annet! HI Annet, Thank you for your kind words! It keeps me motivated. :-) I am so glad you have found my blog so helpful. I myself have flat lined twice while I was enduring a terrible car crash. I came back seeing spirit, but I asked for God to make it stop. It was scaring me to death. I wish now that I hadn’t done that. Because they were only coming to me for help. I do still have connection with my angels. They show me symbols and signs, then sometimes I get messages. I have even heard audible voices when they want my attention badly enough. I would love to win one of your books. I think it would help me greatly. Peace and light. Charlotte, what an amazing and terrifying experience all at once. Thanks for commenting and entering. Dear Charlotte, Wow, it sounds like you had quite a traumatic psychic awakening. I can totally understand being scared to death, especially if you had lost souls coming to you for help. I’m glad that you still have a relationship with your guides. Thank you for your interest in my book! First off I am not a writer but am an empath. The relationships empaths get into and why sounds very informative. I am just realizing that is probably why I close myself off in intimate relationships. Hope to win a signed copy! Good luck ! Maggie, thanks for entering. I bet Elaine’s books will be helpful to you. Good luck! Hi Maggie. Thank you for your interest in my book. Relationships can be sticky and confusing for Empaths–it would make sense for you to close yourself off. I hope you’ll find the book helpful! well that certainly was interesting, wow! I can all ready see something that I identify with. thanks! just ordered the book . can’t wait to get it. I like a book in the hand so you can feel and smell the paper, lol, rather than looking on a computer. Good for you, Maggie! I hope you enjoy it! I am definitely an empath and I review books. Some books are just not my cup of tea, and if that’s the case, I will either not post a review or say this book is about … and while it was not for me but I’m sure other readers will find something that resonates with them. There are ways to critique things, be they books, pieces of music, works of art, etc. that are not destructive. I have learned in my own journey as an empath what it feels like to be me. Reading this post has given me additional insight into the remarkable beings that we are. Susan, I love your comments about how you review things. I agree! So many reviews are destructive, but they don’t have to be. I’m so glad you posted your comment and entered the drawing. Hi Susan, Thank you for being a kind and considerate reviewer! Hi! I’ve always been confused about what an empath is exactly and whether I’m one or not. I’m definitely HSP and have had some moments where I can just look at a person and know what they’re about but that doesn’t happen often. I would love to read this book and see if I fit in anywhere. Thanks for posting this! Hi Sheila, Yes, Jenna has a good definition of an Empath. I would add that Empaths tend to be extra responsive to others’ emotional state. We also are able to go deep into our own dark emotions and further our personal growth. When we are healthy we can support others in doing the same. We also tend to be artists or creative in some way. I’m only just coming to understand that I’m an empath even though my mother has been trying to persuade to look into it for some time. I know that if I get a little more knowledgeable about being a HSP that I could process and interpret my emotions better. I’m a writing teacher at a middle school which sometimes makes it difficult to be so sensitive. In getting more info on the subject, I think I could really relay this information to the younger people because we already discuss various archetypes that are present in their understanding of the culture. Macey, that’s such a great idea to pass along what you learn to the younger people. I was just thinking last night about doing a talk about high sensitivity for my son’s elementary schools. Still so many of the teachers have no idea what it even is, and 15 to 20% of the population is highly sensitive, let alone being empaths. Hi Macey, that is wonderful that your students already understand archetypes! I think that understanding these patterns frees us to live a more creative, individualized life so we aren’t so run by the worst part of the archtype in play. What a great gift you are passing to the next generation. I have dealt with empathy my entire life and it would be interesting to understand why I find myself in the situations that I end up in at times and ways to avoid them. Closing off feelings is not the answer, even though that happens a lot. As a person who works in sales, I come into contact with people daily and have to withstand a constant barrage of other people’s emotions. Finding a better way to channel that would be amazing and I would also like to more purposely use my gift for good. I try to help people when I can. This book sounds like a definitel must read for me. Gena, that’s so much to deal with! I don’t know if you’ve seen the energy skills product I have on my other site but you might benefit from it. I’d be happy to send you the link if you’re interested. Thanks so much for commenting and entering. See my note at the end of the comments thread about a way to get Elaine’s first book for free, too. Hi Gena. Yes, a job in sales would be hard on an empath! I agree, Jenna’s tools would really help you. One thing I do is keep some water (with flowers) nearby to absorb some of the emotional energy. I think you might enjoy my book. It deals mostly with empaths in relationships, the common traps we tend to fall into, and how to avoid them. 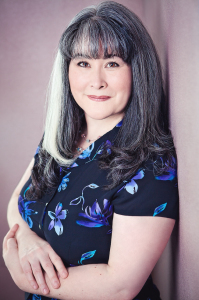 Elaine, that was an excellent article on Jenna’s site and made me want to read your book (I believe I am an empath and an intuitive); it also gave me some publishing insight since I will be helping my friend get her book on child abuse ‘out there’, hopefully, soon. Hi Merril, I’m so glad the article was helpful! Good luck to you and your friend on publishing her book, too. I hope you enjoy my book. It’s definitely written for the intuitive empath. Elaine-good for you for overcoming your fears and stepping out as a writer. You cannot please or reach​ everyone in this world, but the audience that understands your work will appreciate it!! I look forward to enlightening myself!! Monica, isn’t that a cool part of her story? And you’re so right about how we can’t please or reach everyone. Thanks so much for commenting and entering! Hi Monica, Thank you for your kind words! I hope you enjoy the book. It seems that many things are more difficult for empaths. Especially “putting yourself out there”, therefore leaving yourself more open to criticism. Thank you for sharing your story. I agree, Brenda! There are many challenges along with gifts with empathy. Thank you so much for commenting and entering. Hi Brenda, yes, making ourselves vulnerable to criticism is definitely uncomfortable. Thank you for your kind support! 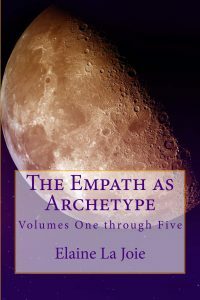 Towanna, Elaine’s book does sound like a good fit for you, especially because so much of what she addressses has to do with empaths in relationships. You might be interested in the information I posted below about getting her first book for free at the end of the comments. Thank you so much for commmetning and entering! Hi Towanna, You sound like my perfect audience. I hope you enjoy my books! I really appreciate this wisdom from Elaine: I made a conscious decision not to take any reviews personally and to trust the work would reach the audience for whom it was intended. Thank you for this. We all need to remember to trust that the positive we are putting out into the universe will reach the right person at the right time. Judy, that was my favorite part too. It’s easy to forget that, when all the resistance and fear around writing gets so strong. Thank you so much for commenting and entering. Hi Judy, Yes, trusting the work and for me, trusting that it would reach the right audience was key. Thank you for commenting! Both my son and I are empaths, but as HSPs as well, very difficult to explore things such as soul retrieval and shadow work without guides. I’m so hoping this book can help and hope to win a copy. Kelly, yes, me too! 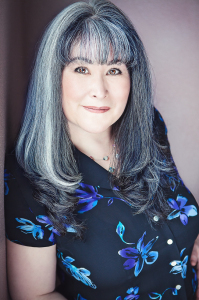 Elaine and I are both HSPs as well as empaths too, and I have been particularly glad for her guidance and wisdom in the exact areas you mentioned. I wish you and your son all the best, and be sure to check out the information below about how to get Elaine’s first book for free! Thank you so much for commenting and entering. Hi Kelly, I think you’d enjoy my second book in the big book on shamanic energy work. Also, there’s quite a few essays posted on my website on soul retrieval. Thank you for commenting! My biggest writing lesson has been to read widely and wildly. So inspiring. Raquel, YES! So important and yet so easy to overlook, especially when it comes to the widely part. Thank you so much for commenting and entering. And congrats on being one of our winners! HI Raquel, I hope you enjoy the book! Thank you so much for entering. (On the East coast but hope I made the drawing deadline ) Thank you for writing your book! Annie, I’m so glad you commented and entered! I did include you in the drawing. A pseudonym is a great way to crate some space between a public persona and your private self. Go for it! Hi Annie, Thank you for your kind feedback! I hope you enjoy my book. Hi everyone, thank you so much for entering! The winners of our autographed copies of Elaine’s five book volume are Charlotte, Macey, and Raquel. We will be in touch via email to get your mailing address information soon. The rest of you may be interested in getting Elaine’s first book for free on her website at https://secure.clearreflectioncoaching.com/ or on Amazon. The first book in the series is free in both locations. Thank you again for entering, everyone!